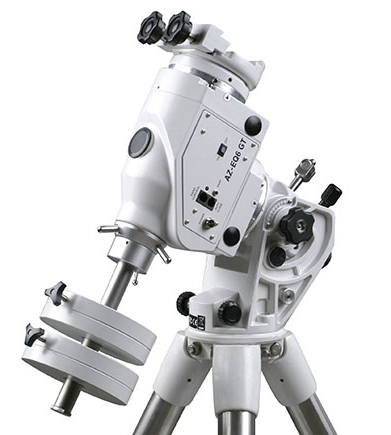 The new Sky-Watcher BKP 300 OTAW Dual Speed incorporates superb mirror-set with two significant advantages. A Dual-Speed 10:1 ratio focuser is now included for excellent focusing precision. Also the tube length has been slightly shortened to optimize performance for prime-focus photography. 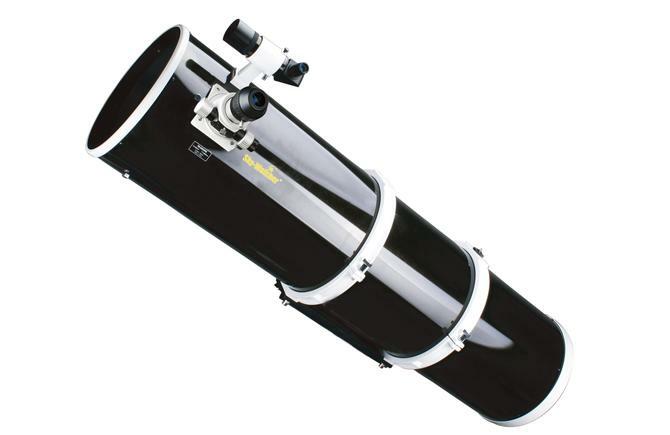 Even better performance for astro-photography and visual use can be achieved when used in combination with Sky-Watcher’s Newtonian coma corrector. Due to physical reasons, a fast newtonian system produces coma outside the optical axis. The Sky-Watcher Coma Corrector compensates for this effect and leads to pinpoint stars across the field of view. It works for both observation and astro photography. The Sky-Watcher AZ-EQ6 SynScan gives optimal stability and pointing accuracy for a wide variety of heavy professional photo and video equipments. 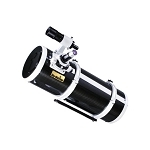 It is a hybrid mount with alt-azimuth capability for general use, and equatorial capability for astrophotography use. Supplied with a SynScan handset with dual AZ/EQ firmware, it can automatically find and track over 42,900 celestrial objects from its database. AZ-EQ6 SynScan is capable of carrying heavy-duty photographic equipments for professional shooting and video recording. It allows accurate repeatable pointing on 6 programmable targets and is a very efficient transportable mount weighing only 15 kg, for a load capacity of 20 kg (counterweight excluded). An excellent feature of the AZ-EQ6 SynScan is the patented dual-encoder technology. 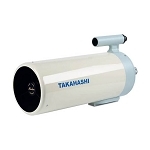 This technology allows the telescope to be moved manually either axis without the mount losing its positional information which gives enormous freedom and convenience for users. ♦ Permanent period error correction(PPEC). PPEC can be trained with Autoguider or PC. ♦ Belt drive - Super smooth PE curve. Low backlash, silent slewing. ♦ Shutter release control for batch exposures of astrophotography. ♦ Motor controller with high torque and accuracy. 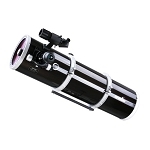 ♦ Include two dual-fit (45mm/75mm) saddle for mounting two telescopes. ♦ Improved reliable power supply outlet. ♦ New motor controller with higher torque and accuracy. ♦ Primary axis encoder tracks the mount's position. Usera can push the mount at any time without worrying about loosing the mount's alignment. Note: Baader filter and solar finder must be used during all sun observations to avoid damage to your eyes. Read this review of Sky-Watcher's wonderful new mount.